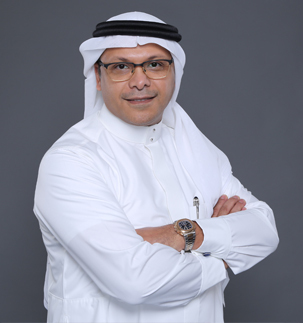 Ayman T. Al-Tayyar has over 22 years of experience in the banking sector, working in management roles from 1996-2001 and later holding the positions of senior manager personal banking (2001-2003) and senior executive manager (2004-2006), SABB Head Office. Due to his continued development and expertise he joined NCB as executive vice president and head of the Islamic branch network in 2006. From 2012 to present he has held the position of executive vice president and head of lease finance. Mr. Al-Tayyar graduated from the University of Montana, Missoula, USA, in 1993 with a bachelor’s of business administration in marketing. As part of his professional development he has attended many banking sector management training courses throughout his career at reputed institutions in the UK and the United States.